If you’re using SpendMap’s Invoice Approval Module to simplify the approval of your suppliers’ invoices, things are going to get even easier with the upcoming 2017 release of SpendMap. Stay tuned for more information and official release dates. 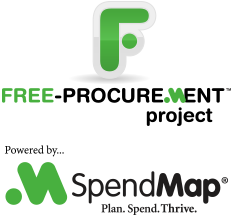 SpendMap now supports Prepayments, such as deposits and progress payments, to authorize payment to a supplier before the products or services have been delivered. SpendMap will keep track of the outstanding prepayments when processing subsequent invoices for the Purchase Order, to make sure that you pay the correct amount in the end. Check out our new video tutorial on Prepayment Invoices and don’t forget to follow this blog (see right sidebar) to be notified when the new release is ready. ← Simple Purchase Order Software or Stupid Purchase Order Software?